The Galloway Glens Landscape Partnership is connecting the people living and working in the area with its heritage and landscape in a drive to secure a prosperous future for the communities around the Water of Ken and River Dee, right from their source to the sea. The Galloway Glens region, based on the Ken and Dee catchment and linked by the waterway, has reinvented itself throughout history and includes a wide range of habitats and land uses. The primary settlements of Castle Douglas and Kirkcudbright are linked to a more rural environment heading north through what is locally termed ‘the Glenkens’. Now better known as an area of farming, forestry, energy generation, attractions such as ‘the Dark Sky Park’ and a relaxed pace of life, it cannot be forgotten that this region has been at the cutting edge of progress in a number of sectors throughout history. This includes the development of a pioneering hydroelectric scheme, the residence of James Clerk Maxwell and birthplace of S.R. Crockett, a significant role in Robert the Bruce’s story and Covenanter activity, inspiring Robert Burns and a whole range of other points of international significance. The Galloway Glens Landscape Partnership resulted from local interest in the area and a wish to better understand the heritage contained therein, making use of the unique natural and built heritage of the area to encourage sustainable communities now and into the future. 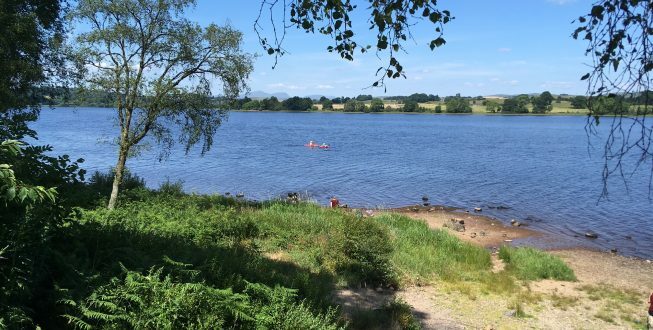 The Partnership consists of a range of organisations including, amongst others, Dumfries & Galloway Council, local community organisations, The Galloway & Southern Ayrshire Biosphere, Forestry Commission Scotland and Historic Environment Scotland. The Partnership is ably supported by working groups consisting of a whole range of skills and interest. In November 2015, the partnership was successful in receiving stage one approval from the Heritage Lottery Fund. In August 2017 the stage 2 application was submitted to the HLF seeking £2.7million of project funding over five years with funds being awarded in December 2017.